Albany Towing Services has provided quality towing in Albany, NY for more than 21 years. We came from humble beginnings, starting with a single tow truck and growing over time to the company you see today. We hired professional drivers and technicians as we continued to add trucks to our fleet. ​Over the years, we have been recognized for outstanding service and low prices. Today, we are the go-to company in the area, and we have a team of dedicated workers available to serve your needs any second. Our working hours are 24 hours a day, 7 days a week, 365 days a year. We are constantly towing cars, trucks, and motorcycles in Albany, Latham, Troy and the surrounding areas. To get a free quote, call Albany Towing Service at (518) 925-8552​, and will send one of our certified technicians to assist you today. Why are we the best towing company in Albany? We offer fast, reliable towing and emergency roadside assistance services. Our excellent team of drivers are available 24 hours a day, 7 days a week, every single day of the year. We staff this way purposely to ensure that we can meet any needs you may have at any time during the day or night. No matter the make, model, size, or type of vehicle you have, we can take care of it. We can get you a tow truck 24 hours a day. Believe us, we know that the nightlife in the Albany area is great and when you are out late at night and car problems occur, we'll be there to assist you We chose late night employees that are pretty much nocturnal, allowing us to supply tow truck services and roadside assistance no matter what the hour. We'll do everything in our power to fix your current situation without pulling your car away, whether that means jumping your battery, changing the tire, or unlocking the door. Call us at (518) 925-8552​. Got a flat tire? No problem. We can change your tire to the spare, or we can tow your vehicle to the closest store that sells tires so you can get new ones. Our flat tire service is available in Albany 24/7. Cars needing a jump start is a constant occurrence, usually caused by leaving the lights on for an extended period. When you do that, the car battery slowly runs out. Then, you get up for work, turn the key in the ignition, and nothing happens. If that occurs, Albany Towing Services’ team of technicians are out and about and can be at your location within minutes to jump start your car. Our guys stay with you as long as you need to recharge your battery and ensure it runs successfully. Auto lockouts happen to the best of us. Your keys fall out of your pocket into the seat, you drop them trying to grab your jacket, or you lost them. Don’t worry about it. Call our team of technicians and we will drive to your location and aid you in getting into your car. If you still cannot find your keys, we will drive you home and drop off the car. It's ironic, but we have to point out that across all the phone calls we receive, the majority of people are only about a mile from a gas station when they run out. If you are stuck on the highway or a random street in or outside the city, let us know. We dispatch our team and they will fill your car up with plenty of gas so you can safely make it to the closest gas station. No problem at all! There is a massive fleet of trucks available to us and our professional towing service can take care of everything from a bus to a tractor to any one of hundreds of trucks, commercial or otherwise. We will ensure an efficient, effective, and safe towing experience. Whether you got into an accident on the freeway or your car’s engine started acting up, our medium duty towing service is needed. Our high quality trucks are outfitted with the latest technology to guarantee that your vehicle is safe and secure for transport. Experience the seamless transition from a bad day to a much better one, knowing that your vehicle is in good hands at an affordable price. For the people who need large tow trucks to transport their vehicle, heavy duty towing is the answer. Many companies do not have vehicles of this size because of the large expense to purchase them. That's not the case here though! We can tow anything. Vehicles that qualify as heavy duty are anything over 25,000 pounds. Good examples are a big tractor or even a cement truck. This type of towing can be challenging due to the extreme weight and the need to secure the vehicle before moving it. However, our high quality, powerful trucks can reliably deliver heavy payloads wherever they need to go, so do not worry. RV Towing Services are certainly grouped in this section, and a one size fits all approach is never ideal. Special requests call for custom jobs. Reach out to our team for a great quote. We've towed a lot of bikes in our day and we can admit that we're scared of biker gangs, so rest assured we won't harm to your baby. In all seriousness though, motorcycle towing in Albany is a popular service. We've towed everything from crotch rockets to Ducati's and racing bikes to Harleys. We'll secure your bike with special safety harnesses to make sure it doesn’t get a scratch as we move it from your pick-up location to wherever you want it to go. Your motorcycle is safe with us. The great thing about flat bed tow trucks is that they can carry pretty much anything, as long as you can find a way to strap it down. Out of all of the trucks in our fleet, the flatbeds get the most use. We have transported cars, trucks, dirt bikes, boats, storage units, and exotic cars. They're very versatile, which comes in handy for unique situations on the job. If it can fit on the bed, we can carry it. ﻿We realize that sometimes cars end up in spots that are not always the easiest to reach. This is where special equipment comes in, like dollies. These are great when the front wheels need to maintain adequate ground clearance. The wheel lift tow process is among the newest technologies a tow truck could be outfitted with today. This is the perfect system for almost any vehicle that is front or rear wheel drive. The professional driver will pull up to the correct end of the vehicle based on whether it is FWD or RWD and hook up the brackets in a way that allows for seamless Wheel Lift Towing, while safeguarding your car from any kind of damage. This high quality system aids our team in protecting against any possible damages and allows us to pull away your vehicle effectively and easily. The low quality systems that some companies use can ruin your tires, which is why we recommend using our special wheel lift system instead. Winches are special machines that are used for the purpose of drawing in a cable or wire rope; they can be either hank cranked or automatically adjusted. As the cable winds up, the tension becomes much greater. 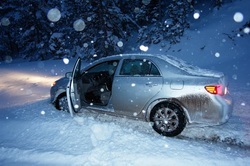 If you have driven off the road or your car is stuck, winching services may be what you need. We'll evaluate the situation at hand and recommend a solution. Accidents happen at all hours of the day and night. We never want that to happen to you, but if it does, you know who to call 24 hours a day, 7 days a week, 365 days a year. Even if you flip your car (not suggested), we got it. We'll attach our high tension, industrial strength cables and turn your vehicle right side up and pull it back onto the road. Our team is dedicated to your satisfaction and will go the extra mile to make sure your situation is fixed quickly and safely at an affordable price. When your vehicle is stuck, call the professional winching service. Why Choose Albany Towing Services? We are committed to delivering the best towing services in the county. Our customers experience a variety of problems on the road (and off it), which leads to a unique assortment of towing situations. This is the reason we only hire the most experienced, professional drivers. We want to ensure that we understand the exact problem, then we will dispatch the closest tow truck to your location. High stress situations are exactly what our team is trained to handle. Remain at ease, knowing that our aim is to keep you safe and deliver reliable service as quickly as possible. The other key element that separates Albany Towing Services from the competition is the fact that long distance towing is offered. Many companies don’t offer it because of the time requirement and negative impact on the wear and tear of the fleet of vehicles. If you can tow locally, do it because it is always less expensive. However, if you need to go a longer distance, we’re here for you at an affordable price; that’s our promise. This team of skilled professionals provides emergency roadside assistance in addition to its towing services. Sometimes the situation doesn’t require a tow. If that is the case, we will do everything in our power to handle your problem. When all else fails, the flatbed trucks are at our disposal. Our guys stay current on auto towing technology and we help with anything, whether you are locked out of your car, your car ran out of gas, you need roadside assistance, or there was an accident. ​Call Albany Towing Services for cheap, fast service anywhere in the Capital Region. We provide our services on both the city roads and highways. Professional drivers and technicians will reach your location quickly and make sure you are back on the road in no time!